It's the year of Spider-Man with the web slinger appearing in movies, video games and, now, wearables. Garmin has announced a new Spidey version of the Garmin Vivofit jr 2, its kids' fitness tracker. 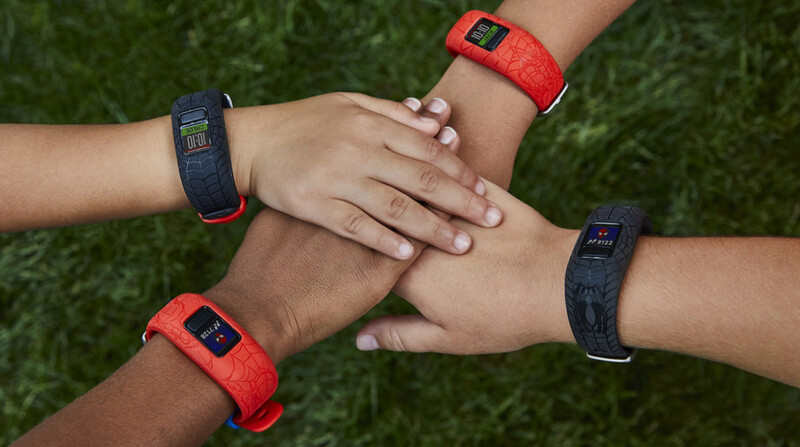 Like the Star Wars, Disney Princess and other Marvel versions of the tracker, the Spider-band tracks steps, sleep and lets kids customize their screen. It won't track specific workouts - so no Peter Parkour - but there are special challenges for the little ones to take on and a storyline running through them. All of this can be set up, and monitored, by parents in the companion app. There are chore challenges too, letting parents designate tasks from the app, while kids will see how much time they have left to complete the task on the band. They'll earn virtual coins for completing challenges and chores that can be exchanged for rewards. There are even some challenges that let feuding families take on each other for smug points, like a modern day Montague-Capulet showdown. Under the new Spidey-skin it's the same band with a year-long battery life and shower-durable design. That means you can also swap out the Spider-Man accessory band for another when you're done chasing down the Green Goblin. The new Vivofit Jr. 2 costs $79.99 and accessory bands are $29.99 separately.